ONE has partnered with Seeker to develop a virtual reality experience, One Woman’s Triumph Over HIV in Africa. 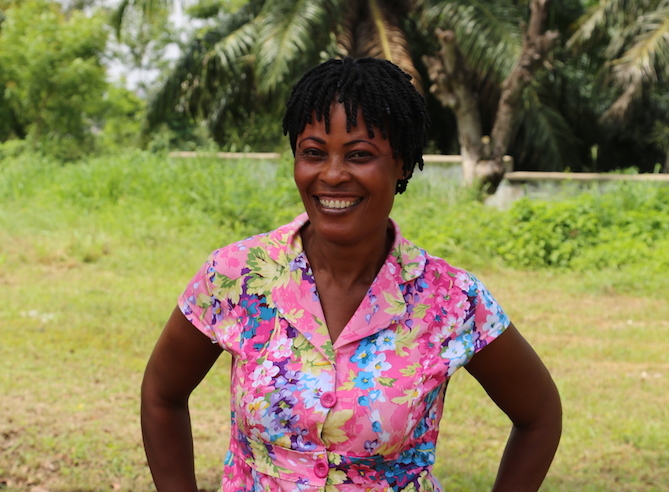 In the film, Doris Yarnie, 42, describes living with HIV in Ghana, where women are twice as likely as men to have HIV and AIDS-related illness is the leading cause of death for women between the ages of 15 and 44. In Ghana, HIV-positive women face extreme discrimination, as well as burdens like the risk of transmitting HIV through childbirth. When Doris’ son contracted HIV, she was unable to afford treatment and he died at just few months old. Doris’ own health continued to decline until 2003. That’s when the Global Fund-supported program at Korle Bu Teaching Hospital in Accra, Ghana, began offering free antiretroviral medication, which stops the progression of HIV. Doris was one of the first to be treated. Today, Doris is married with two sons—both of whom were born without HIV, thanks to another Global Fund-supported program. One Woman’s Triumph Over HIV in Africa was produced for our campaign to support the Global Fund to Fight AIDS, Tuberculosis, and Malaria. Since it launched in 2002, programs supported by the Global Fund had saved 20 million lives as of the end of 2015, and are on track to reach 22 million lives saved by the end of 2016. The VR film launched on September 15 across Seeker Stories digital channels. Watch it below now! SIGN NOW: Tell world leaders to step up the fight against preventable diseases by supporting the Global Fund.